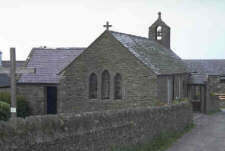 See Parish Index page for description, links to 19th century directories etc. Bishop Hildseley complained about the dilapidated state of the old church in 1773 and required that it be rebuilt to the north - however it appears that the old church was renovated and rededicated in 1775. Built with the aid of a £1000 legacy from William Milner subject to it being dedicated to St. Catherine. St Catherine's well has been associated with the village from earliest days and St Catherine's Keeill apparently stood on a site now occupied by the terrace on Shore Road. Built 1883/4 on land given by Mrs E.M.Gawne; consecrated 25 January 1884 by Bishop Hill. A report in Manx Church Magazine of Sept 1892 refers to the recent completion of the decoration by Mr Flaxney Stowell and the completion of the organ by Mr Hewitt of Leicester. The article refers to the great generosity of the late Mrs Gawne and family of Kentraugh as prime movers behind the building. Foundation stone laid 1878 and formally opened Oct. 1878 by Bishop Hill. Originally intended and used as an infants' school (by consecating just the sanctuary it was possible to offset some of the cost though in this case it was built for £150 as the labour came free). 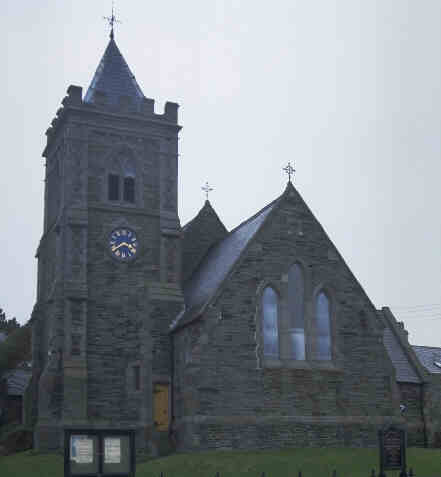 In July 1892 the Manx Church Magazine stated that "For some time it was used as an infants' school, but for several years past it has not been thus utilized. ".